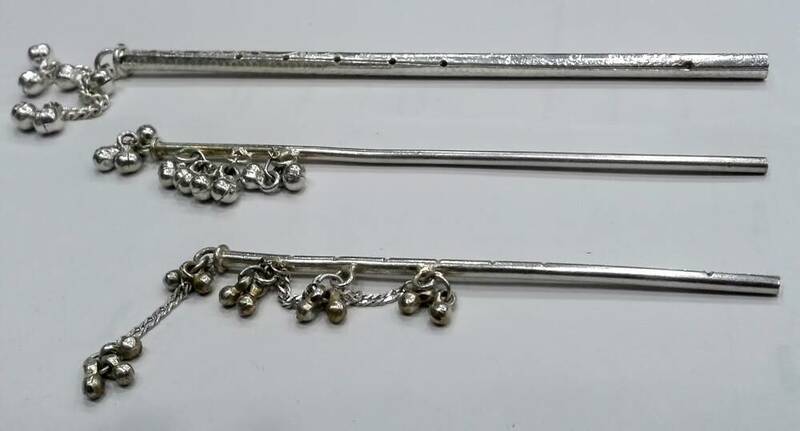 Pure Silver Flute for deities of Krishna. Picture is to give the general idea of the style. 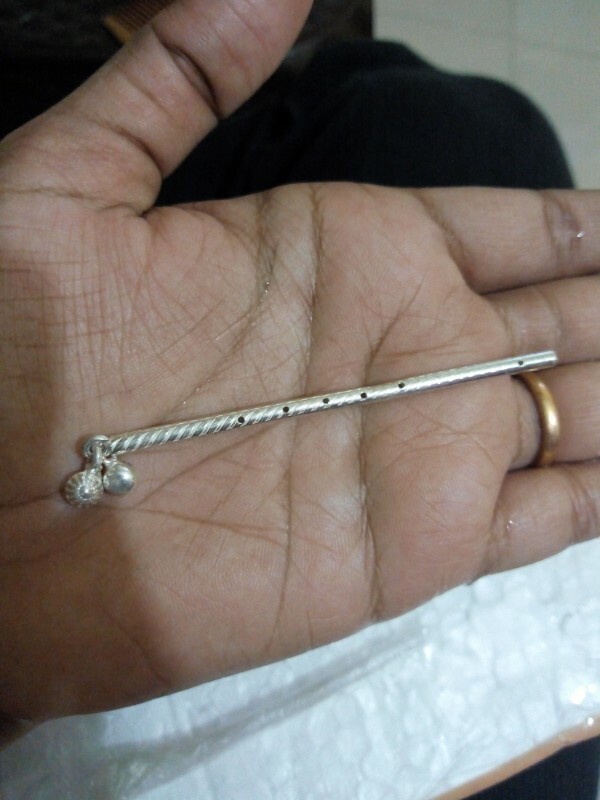 Hand made items can be a bit different from piece to piece. This flute is made from real pure silver. Recomended sizes are below.